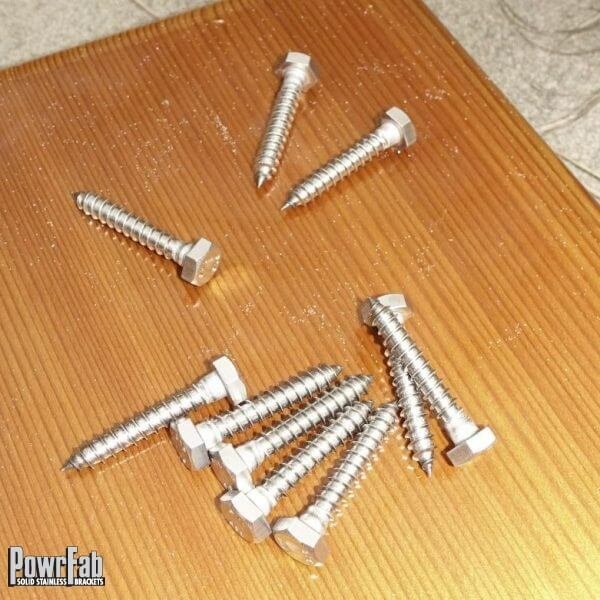 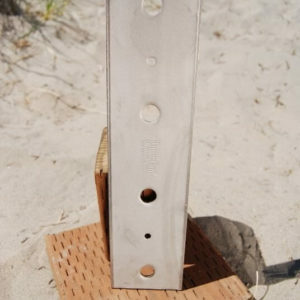 12ga 316L Stainless Steel Stair Tread Bracket. 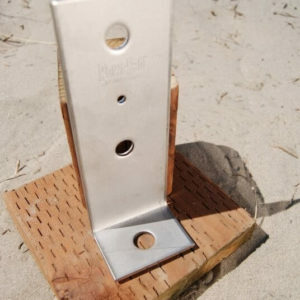 The overall dimensions are 8″L x 1-1/2″ x 1-1/2″ angle. 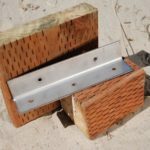 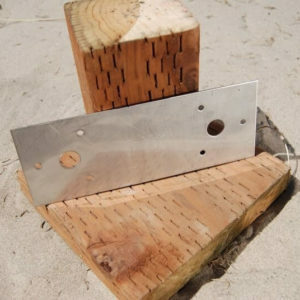 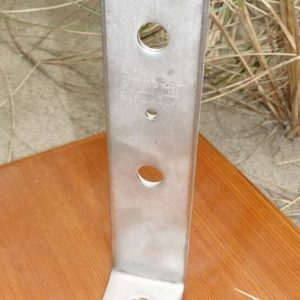 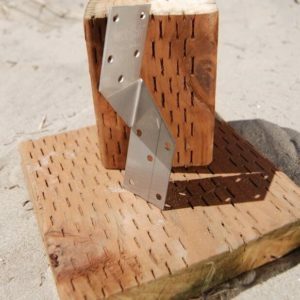 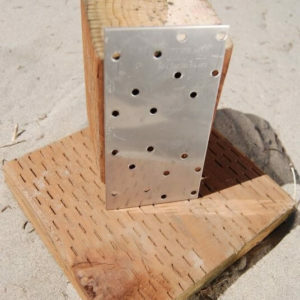 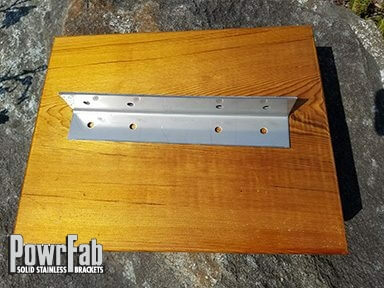 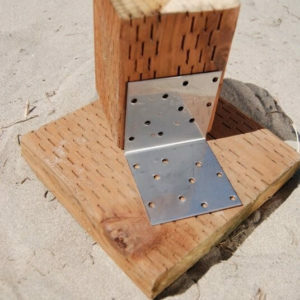 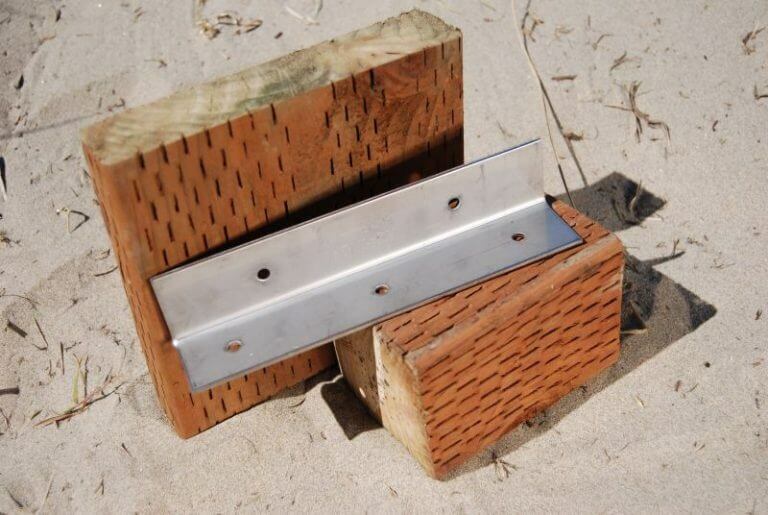 This bracket is used for 8″ stair treads. 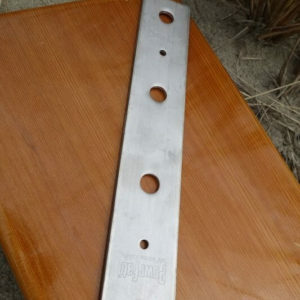 There are five 1/4″ diameter holes total.